Babies and the outdoors. It is a great combination. It’s a well-known fact that fresh air helps strengthen babies’ immune systems and helps regulate their metabolism. In addition, sunlight (with the proper protection) helps fix calcium in the bones and increase Vitamin D. Outdoor walks with your baby should happen as frequently as possible. Unfortunately, during the warm seasons, our little ones can be targets of mosquito bites as well, which often result in allergic reactions: erythema (redness of the skin), itching, and swelling (inflammation). Mosquitoes choose their ‘victims’ based on skin odor, carbon dioxide emissions, and traces of sweat. When they choose a child, unfortunately the youngest of them can’t run away or swat them accurately. It is highly recommended for parents to use mosquito repellents on their babies’ skin that isn’t covered by clothes (face, neck, arms, legs) whenever they take their kids out for a stroll. However, with such a wide range of mosquito repellents available, many parents come to the question: which product is the most effective against mosquito bites while also being safe for my child? What to look for in a mosquito repellent for babies? Many of the mosquito repellents designed for adults are perhaps not ideal for young children or babies. It is worth looking at what products might be more suitable for a baby. As we do, it is very important to remember that these products don’t kill mosquitoes; they just make the surface of the babies’ skin less attractive to these insects. Repellents mask the chemicals produced by the human body that are most ‘guilty’ of attracting mosquitoes. A repellent’s effectiveness is measured according to the amount of time that mosquitoes stay away from a baby’s skin upon a single application. The term used for the product’s efficiency is called CPT (Complete Protection Time). The active ingredients in such repellents are either synthetic or herbal chemicals. The most renowned synthetic substance is called DEET (N, N-Diethyl-meta-toluamide or diethyltoluamide), and the most effective natural herbal substance is citronella. When we’re talking about synthetic chemicals, according to the American Academy of Pediatrics (AAP), the repellents that can be used against insects on children between 2 months and 2 years old are those based on DEET, as long as the concentration of DEET is less than 30%. However, picaridin is a newer odorless synthetic ingredient that is found in some products and has been used for over 20 years in Europe. Permethrin, long-known as being an effective tick repellent, also works against mosquitoes. Some studies have found that the skin absorption rate is about 1/20 that of DEET, and apply permethrin to clothing results in an exposure risk that is well below the EPA’s recommended rate for toddlers. For babies younger than 2 months old, parents shouldn’t use any kind of repellent, including those based on DEET, picaridin, or even herbal ingredients. It is better to use some type of mosquito screen or net, or simply make sure the the baby is always covered up. 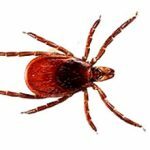 Let’s talk about some highly appreciated repellents that will successfully keep these annoying and potentially dangerous insects far away from your children. This product is ideal for parents who want to avoid synthetic chemicals such as artificial fragrances, dyes, sulfates, phthalates, and parabens. Made out of plant-based ingredients such as citronella, peppermint, rosemary, lemongrass, and geranium. 100% natural essential oils, Babyganics Natural Insect Repellent will keep not only pesky mosquitoes but also gnats and flies away from your kid. This repellent is safe for the entire family and its fragrance is also very pleasant. 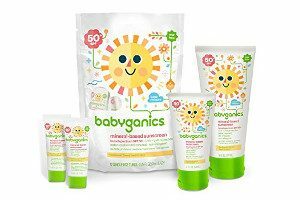 Besides offering protection from bites and stinging insects, Babyganics Natural Insect Repellent will also nourish your baby’s sensitive skin and get them ready to step out and explore the beautiful outside world. Another great choice if you want to keep your child protected from insect bites and synthetic ingredients, California Baby Bug Repellant Spray is highly rated by parents nationwide. It has a safe, gentle formula, and a nice smell, thanks to its natural citronella scent. 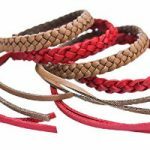 Its protective components are vegetable and plant-based, with no toxic, chemical, invasive, or irritating additions. Featuring an extended period of protection, California Baby Bug Repellant Spray will take good care of your kid’s skin while keeping insects away. Plus, all family members can use it day and night, which allows you to avoid the inconvenience of buying multiple different products. This wonderful, trustworthy spray is easy to apply and protects your baby as well as the rest of your family from mosquito bites for up to eight hours. 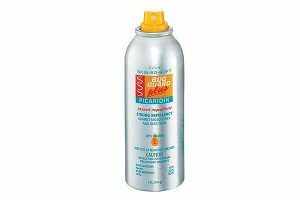 Aside from mosquitoes, Avon Skin-So-Soft Bug Guard is also efficient against no-see-ums, flies, biting midges, and gnats. It contains picaridin (an effective alternative ingredient to DEET), it’s enhanced with vitamin E and has a packaging that lets you carry it with you everywhere and use it effortlessly. Also worth note is its barely-there odor and light, clean feel on the little ones’ skin. With a 7-percent DEET, a non-greasy or oily formula, this product effectively keeps mosquitoes and other bugs at bay. 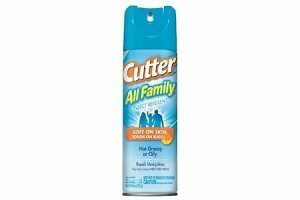 Cutter All Family Insect Repellent is lightly scented, leaving the skin well-protected, clean, and soft. The 360° spray pump sprays at any angle, ensuring the entire process of applying protection is quick, pleasant, and extremely easy. It’s ideal for the entire family and lets you and your kids enjoy fun, outdoor activities without having to worry about bug bites and the associated viruses (West Nile, Chikungunya, Dengue, Malaria & Zika). Now that you know everything you need about mosquito repellent for babies, and have several great options to consider and take advantage of, you and your family will be able to enjoy peace of mind during warm season outdoor activities. Have fun! Written by Tick and Mosquito Project staff. Most recently reviewed by by Nicole Chinnici, Northeast Wildlife DNA Laboratory Director at East Stroudsburg University.